Within the heart of Molly Malarky there lies the stubborn and determined spirit of her grandmother - a strong-willed young woman who came to America from a starving Ireland with no one to help her and who would end up finding a way to make her own way in the world. Molly needs this spirit for she lives with an abusive father and indifferent brothers who do little to help her and even less to be in the slightest bit pleasant. Molly’s father is not what one would call an industrious man and when he is invited to join a friend in a journey to California to look for gold, he leaps at the chance, taking all his sons but one with him. Some time later he sends for his youngest son Malachi to join him in the gold fields and Molly finds herself going on a journey not unlike the one made by her indomitable grandmother. It is a good thing that Molly goes with Malachi for he seems to be quite unable to take care of himself tending to get drunk, gamble his money away, and get into sticky situations because of his dishonesty. The brother and sister travel south by ship to Panama, cross the isthmus by mule, and then travel up to San Francisco by boat once again. 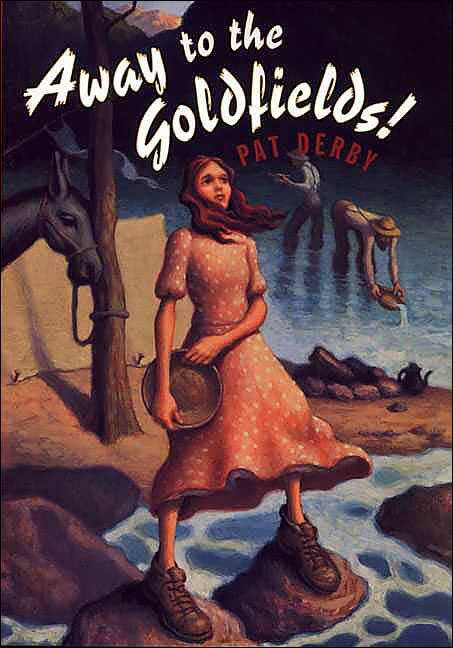 Molly works as she travels, first as a nanny, then as a laundress, and in the gold fields she cooks for the miners who are desperate for a decent meal. All the while she cannot help wondering what she is going to do once she finds her father. What is she going to do with her life? She certainly does not want to go back to living with her father. In fact she does not want to depend on anyone. What she wants she realizes, is to be her person and to go her own way. This is an inspirational story made powerful by the likeability of the main character who is without pretension or guile. She is a girl who shows the world her flaws and her strengths and who gives of herself without demands for anything in return.